Hi! I'm 3 months into my gmat prep and just started taking practice tests. I'm harrowed by the wide fluctuations in my scores. I scored 760 each in ETS power prep 1and 2, and 680-770 in the tests given by Jamboree. I appeared for two Manhattan tests, in which my score slumped to 590 and 550! I know Manhattan tests are somewhat tougher, but even by those standards I've messed up big time. I'm freaking out seeing such scores in the final leg of my prep. Which practice tests should I take for a realistic assessment of where I stand? I'm not looking for the toughest tests, but something that's as close as possible to the real thing. Would really appreciate some guidance on this. The only true indicator of your exam is GMAT Prep. Don't rely on any assumptions based on ETS 1 or 2. I got 650 when I first gave ETS 1 in Jamboree. Download Free Prep Exams from mba.com and buy Exam Pack 1 and 2. You will have 6 tests. Practice on them. Check whether you are still at the same level . If yes, clam down and give your exam. As abhimahna said, take a GMATPrep. There are 6 GMATPrep tests available to you (2 free, and 2 tests in each exam pack). Try to take the full test (with AWA and IR) and try to simulate test conditions. The scoring algorithm on the Official GMAT is far more complicated than most people realize. 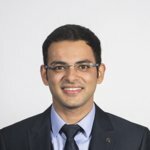 Since that algorithm is proprietary, no GMAT company has an exact match for it, thus practice CAT scores can vary based on the 'biases' involved in their respective designs. The 'accuracy' of a CAT score is also based on how realistically YOU choose to take the CAT. If you skip sections, pause the Test, take it at home, take it at a different time of day as your Official GMAT, do anything else that is unrealistic, etc., then your score is likely to be less accurate. The most realistic CATs available are the 6 from GMAC (the 2 free CATs, and each of the 2 that come with Exam Pack 1 and Exam Pack 2), so it would be useful to know how you performed on one of those CATS. Once you have that score result, you should post back here and we can talk through what all of this data means. unless you just like taking practice exams, dont waste your time taking any other CAT except prep soft. GMATPrep and Manhattan come closest. Verbal is matched only by gmatprep...I don't think any other test series matches up to actual gmat verbal content. For scoring purposes, GMATPrep software is the best you can get. 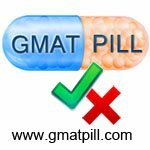 While many of our students who take the GMAT Pill Practice Test report scores within +-30 points of what they get on the real test, use these additional practice tests more so for the extra practice than for an accurate gauge of what your score will be. No company can claim their algorithm exactly matches the real thing. The most we can do is get really close. Still - it doesn't matter what you get in practice - so what only matters is the real thing. So focus on improving as much as you can and performing at the top of your game instead. Gmat Prep: Best one since it uses real questions, and it is extremely similar to the real test. The software (at least for the free CAT's) is a little deficient however. Kaplan: Really good interface, and what I felt were the closest experience to the real test after GMAT Prep. Kaplan tests were my favorite of them all. Manhattan Prep: Harder than the real test, but excellent practice to build concentration and time management skills. Veritas Prep: Also harder than the real test but also excellent practice to build concentration and time management skills. I felt like all the practice tests that I took were really good practice. Perhaps, nothing beats the GMAT Prep exams but they can be expensive if you're buying them. If you want an extra challenge you could take the Veritas Prep or Manhattan Prep exams. If you want the closest as possible to the real GMAT take the GMAT Prep or Kaplan Practice Tests. Of course, this is only my opinion and I did not try any practice tests other than the ones I listed above. Thanks for the replies. 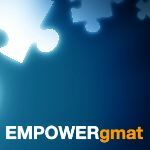 I took a GMAT prep test and scored 760 (Q48, V46). Managed to raise Manhattan score to 640, but still quite intimidated by the test. The Manhattan CATs will always be difficult as the quant questions on there are not representative of the actual GMAT. With that said, you have a great score. A 640 on the MGMAT is considered great. The 760 on the GMAT prep is a better indicator of your abilities. If you can maintain the same score on the 2nd test the GMAT for you should be a breeze. Kindly click on the +1 Kudos if you found my post helpful. Thank you! Hey, I too had prepared from Jamboree and all I can tell you is that those Jamboree Tests are a farce! The Quant level is decent but he verbal level is too low as compared to the same on the GMAT. The official prep software is the best indicator definitely but take +/- 30 score variation. I personally found the verbal level on GMAT Prep 1 lower compared to that on the real GMAT especially the CR Part. My recommendation is Manhattan. The scores will definitely drop but they are the best indicator of your ability. abhimahna are these the tests that are mentioned in the course on their website or these are the official tests? ETS tests are official tests of some other company. They donot have anything to do with Jamboree specifically. Okay. So the tests that Jamboree provides are the official tests by GMAC or created by Jamboree (if you are aware)? The ETS tests were the official tests back when the contract for the GMAT was with ETS (before 2006).